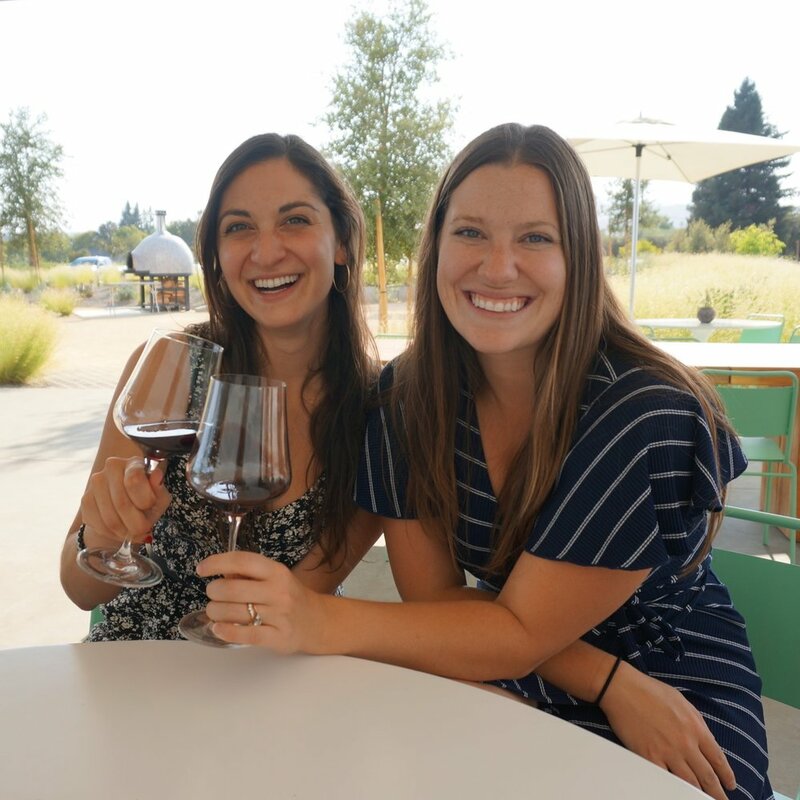 Northern California’s Wine Country is truly paradise but with hundreds of wineries in Napa and Sonoma counties alone, we know it can be overwhelming to decide where to spend your time. We’ve spent countless hours of hard research ;) sifting through all that Wine Country has to offer and we’re dedicated to sharing only the best experiences with you. We’re not here to tell you what kind of wine to drink, the “proper” way to drink it or how much money to spend on wine. We are here to tell you there’s a winery that matches your personality and taste, and to guide you to your perfect day in Wine Country. Whether you decide you want to enjoy it in a new dress sipping sparkling wine or on a farm in yoga pants (we've done both) - there’s a place for you. Explore our list of wineries to find the right stops for you! See photos & read about our tasting experiences. You know you want to visit one place, but how do you plan a day around that? Our site is organized so you can see nearby wineries and plan a trip. Do you have a dog or kids? Want to bring a picnic? Trying to save cash and do some free tastings? Have a large group? Don't worry, we've done the research for you. Hi! We're Rachel and Carly. We're two best friends and event industry transplants from Chicago. We moved to SF to widen our horizons and truly live life to the fullest. We constantly seek out unique things to do and love nothing more than planning a perfect California day. We're sharing that passion here with you, highlighting the very best of Northern California's winery experiences and other stops along your route.